May 27, 2015 Culture » Big Shiny Robot! There's a problem in the culture right now: The corporate entities in control of merchandising our popular culture seem almost tone-deaf on issues of diversity. Some companies might get one aspect right while botching others; other companies fail across the bsoard. In particular, I can't think of a single geeky property that treats female fans as equals. The most visible outcry in recent memory was inspired by a startling lack of Avengers-related merchandise featuring Scarlett Johansson's character, Black Widow. Scenes from the movie that featured her as an action star were remade into toy sets that scrubbed her involvement completely. She was replaced on her motorcycle—in one instance, by Captain America, and in another by Iron Man, a character who flies and has no need of a motorcycle in the first place. Shirts and other merchandise featuring the rest of the team all seemed to specifically exclude Black Widow (and Scarlet Witch, too, for that matter). The advertising and marketing whizzes constantly proclaim that little boys don't want girls among their toys or on their shirts. But in my experience, boys don't care one way or the other, and all the little girls feel needlessly excluded. Marvel is not the only Disney-owned property suffering from this phenomenon. Star Wars certainly isn't immune. With the new series Star Wars: Rebels, the team of rebels features two of the most interesting female characters onscreen today. Hera is a pilot and leader of the titular rebel cell, and she's joined by Sabine, a young Mandalorian artist and warrior. The cartoon does a great job of treating them in a way that makes them equals; just don't ask for toys of the characters. The ship they fly in was made into a toy, but instead of packaging it with the kickass female pilot, she was swapped out with a male character from the show. And the action figures of these two females are so scarce that it's virtually impossible to find them in stores. Instead, they're available through secondary sellers at three or four times their suggested retail price. If you want an action figure of a female Star Wars character, the easiest one to find is Princess Leia, in her slave bikini. The advertising and marketing whizzes ----think that's the only way males will accept toys of females. On behalf of my daughter—who merely wanted a Hera toy—I'm pretty sick of this. DC Comics and Warner Brothers aren't immune to this problem, either. 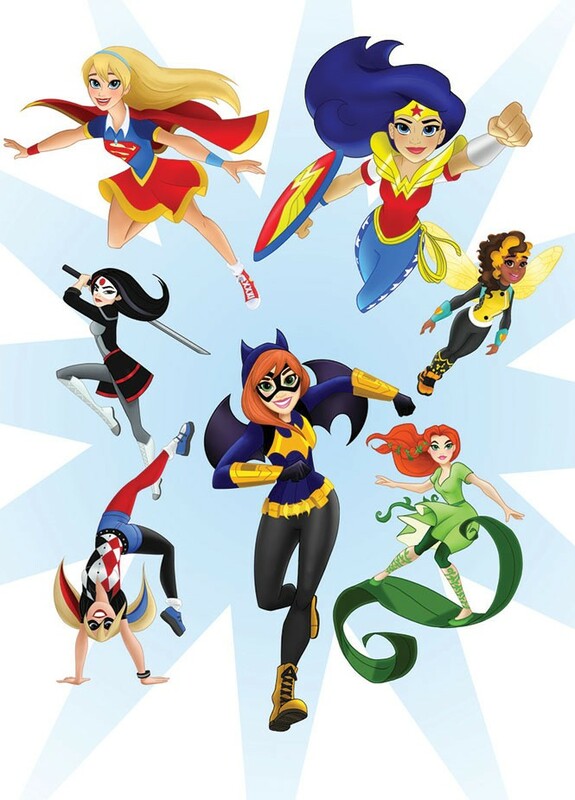 On one hand, they seemed to grasp that girls wanted better representation in comics, so they launched a brand-new line of comics especially for girls. Sounds good, right? According to their press release, they've specifically developed a new line of comics called Super Hero Girls aimed at an audience of girls aged 6 to 16. Yes, I'll end up buying these for my daughter—OK, and for myself—but why do young female geeks need to be treated as "separate but equal?" It's insulting. The entire "boys think girls are icky" mentality is a self-fulfilling prophecy. Companies say boys don't want to read or watch movies about female characters— and then they make sure there are no female characters for boys to read about or watch. Then, when creators do try to get the boys to read stories about female characters when they correct course, those boys don't want to, because they've been told for years they shouldn't like them. Wouldn't this whole cycle be broken—in the best of ways—if we insisted on more accurately diverse casts of characters in our geekdoms, and let boys see female characters doing all the cool stuff female characters do, and doing it just as well as the boys? I don't care what marketers tell me I should want: I wouldn't hesitate to wear a shirt with Black Widow on it. Or a female Star Wars character who isn't a metal-bikini-clad slave. Or Batgirl. I'd love a cool Batgirl shirt. Gender matters less to people than it used to, and these companies need to figure that out. We're living in a world where gender is more fluid. People care less about obviously outdated ways of thinking about "masculinity" or "femininity." Not only do we need to demand more diversity, we need to create it as well. We can't just blindly consume what corporations tell us we're allowed to. We need to make our own: our own comics, apparel, books, and yes, even movies. If they won't give us better representation the way we want it, let's change it ourselves.